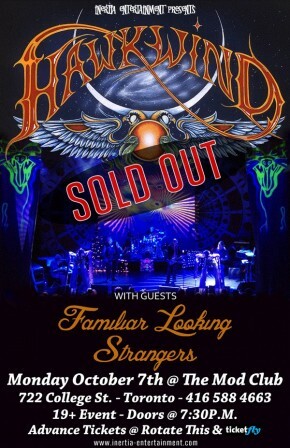 I hafta say I was pretty stoked to hear that Hawkwind was coming to town–and I certainly wasn’t the only one. The Toronto show sold out weeks in advance, with at least a few people planning on traveling from other parts of the province (and who knows where else) to see ’em. But alas, Hawkwind will not be playing the Mod Club tomorrow, and if you read between the lines, it’s pretty clear who the band is blaming for this postponement. Aye, but here’s the rub. They won’t be touring together, which is where the trademark dispute comes in. It seems that shortly after Hawkwind announced its North American jaunt, Nik Turner’s Space Ritual came out with bookings in the exact same cities just a couple weeks later–and, in the case of Toronto, anyways, the exact same venue. I suppose this could have worked to Turner’s advantage cuz hey, can’t get a ticket to see Hawkwind? Here’s the next best thing! But then the embittered woodwind player went and upped the ante a couple weeks ago, trademarking “Nik Turner’s Hawkwind” in the United States. So now it’s no longer Nik Turner’s Space Ritual that’s coming to town, but Nik Turner’s Hawkwind. Holy Competing Queensryches, Batman! Now to be fair, Nik Turner’s Hawkwind contains as many original bandmembers as the Dave Brock edition. But Hawkwind was never like Black Sabbath, where the same four guys played on the first seven albums; in fact, they’d already replaced half the band by their third record. Hell, if you tally them up, I’m pretty sure that Hawkwind’s been through more musicians than Spinal Tap–although I’m not aware of any ex-Hawkwind drummer who had a bizarre gardening accident. Sadly, at this stage of their lives, the feud between Nigel Tufnel (Turner) and David St. Hubbins (Brock) isn’t as easily repaired as bringing the former up on stage for a rousing rendition of “Tonight We’re Gonna Rock You Tonight.” The next time these two see each other will probably be in court, not on stage. Alas, while Turner might stand to profit from the Not-Nik-Turner’s Hawkwind cancellations, I won’t be seeing his show on the 25th–turns out I’m in Texas when they hit Toronto. 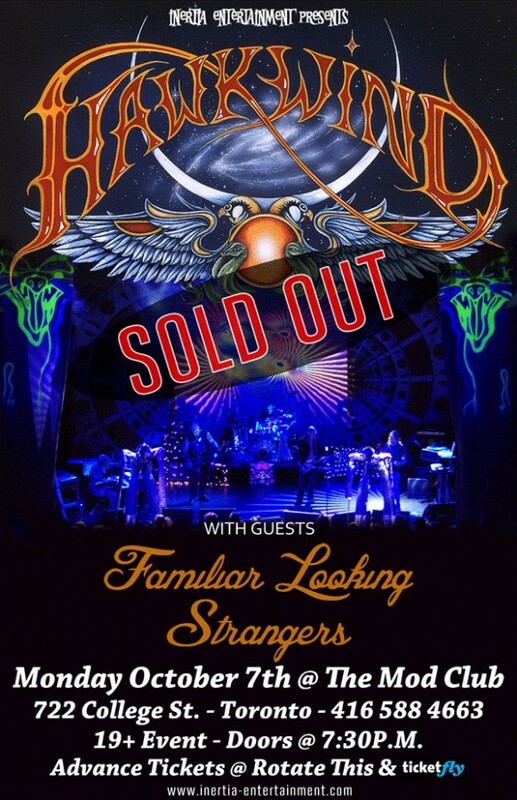 So I’m hanging onto my Dave Brock’s Hawkwind ticket in the hopes that the March date doesn’t conflict with my usual plans of watching college basketball and/or traveling to watch college basketball that month. It’s a great thing to have a new Motorhead album in 2013, especially when it is as solid as this one is. 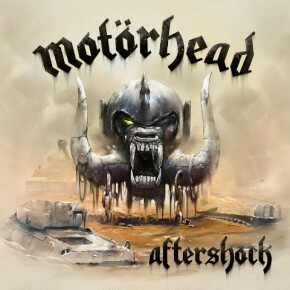 Aftershock does not disappoint throughout and is another great addition to the band’s catalogue. Long live Motorhead!